When did listeners of the Golden Age first hear a network announcer say, “This is ABC…The American Broadcasting Company”? If you picked any year in the 1940’s, read on - the answer may surprise you. As chronicled in Network Radio Ratings, 1932-1953, when Edward Noble’s American Broadcasting System, Inc., bought the Blue network from RCA in October, 1943, for eight million dollars in cash, (106..4 Mil in today’s money), he had every intention of renaming his property The American Broadcasting Company and re-branding Blue’s on-air identity as ABC. But there was a hitch in his plan because the name was already registered to Detroit broadcaster George B. Storer, who had created his own American Broadcasting Company radio network in October, 1934. By coincidence, (or more probably not), the original ABC came into being just a few weeks in 1934 after another Detroit station owner, George Trendle of WXYZ, joined forces with WOR/New York, WGN/Chicago and WLW/Cincinnati to establish the Mutual Broadcasting System. Anchored by WMCA/New York and WOL/Washington, Storer’s ABC Network also included his own WJBK/Detroit plus WJJD (or) WIND/Chicago, WHDH (or) WMEX/Boston, WIP/Philadelphia, WPRO/Providence, WCBM/Baltimore, KQV/Pittsburgh, WJAY/Cleveland, WEBR/Buffalo, WFBE/Cincinnati, WHBF/Rock Island-Davenport, and its farthest western affiliate, WIL/St.Louis. In addition, ABC offered supplemental outlets in Akron, Albany, Columbus, Little Rock, Memphis, Trenton, Waterbury, and Wilmington. Oddly, the original Storer station, WSPD/Toledo, wasn’t part of the mix. Lack of programming and advertising doomed the original ABC within a year, but Storer kept the name. So, when Noble came calling the crafty broadcaster knew that he had a seller’s market . For that matter, so did the owners of the defunct American (FM) Network, the newly formed and quickly failed Associated Broadcasting Company, the Arizona Broadcasting Company - and the list went on. 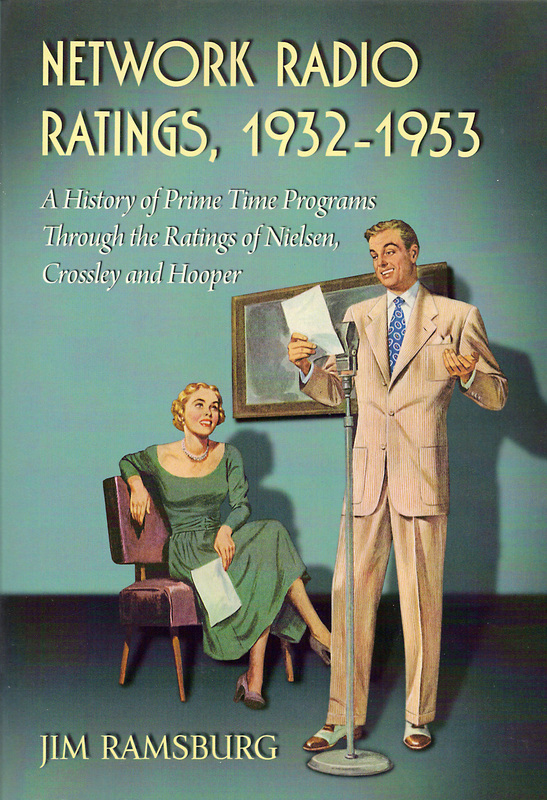 Although Noble’s corporate name was changed to The American Broadcasting Company in September, 1944, the chain’s on-air identification had to remain, “The Blue Network,” until all claimants to “ABC” were satisfied or dismissed. Noble tried his best to push ABC into television but fell short of success and short of cash. In 1951 his American Broadcasting Company was merged with United Paramount Theaters for $25 Million. He turned the reins of the company over to Leonard Goldenson and left broadcasting. Yet, it was still another two years before the CBS New York anchor, WABC, became WCBS and enabled Noble’s long held hope of changing the call sign of his former network’s New York flagship from WJZ to WABC. Although George B. Storer left the networking business after the original ABC’s failure, he increased his AM station holdings to eventually include WHN/New York, (now WEPN), KGBS/Los Angeles, (now KTNQ), WIBG/Philadelphia, (now WNTP), WAGA/Atlanta, (now WDWD), WGBS/Miami, (now WAQI), WJW/Cleveland, (now WKNR), WBRC/Birmingham,(now WERC), and WWVA/Wheeling. His company also had the foresight to add FM outlets to all but WHN and add twelve major market television stations to its portfolio before selling its radio properties in the 1970’s and its television stations in the 1980’s to focus on cable television.